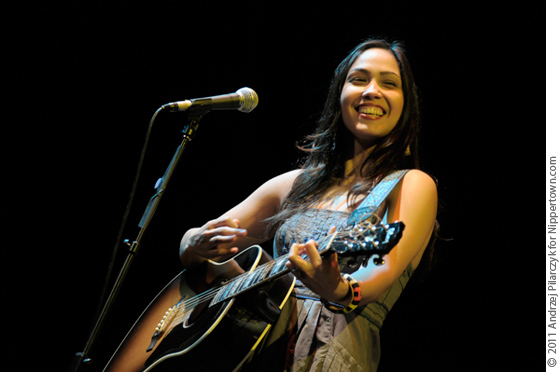 Description:Sonia De Los Santos was born and raised in Monterrey, Mexico and since 2007 has been touring the world, singing in English and Spanish, playing guitar, mandolin, and jarana, and lighting up the stage with Grammy Award winning group Dan Zanes And Friends. She is performing this year in celebration of her first solo family music album titled "Mi Viaje: De Nuevo León to the New York Island” a collection of songs that reflect her experiences growing up in Mexico, moving to another country, learning about other cultures, and in the process, feeling closer to her own heritage. This unique collection of old and new songs is a personal, and yet universal, musical story from this soulful and important new voice in family music, and the messages of joyful community music making and cultural bridge building will inspire and excite children and grown ups of all backgrounds. Please click on a star rating for Sonia De Los Santos. Please type your review for Sonia De Los Santos.